How My Airtel App made things more convenient for Airtel users! Bharti Airtel, India’s largest telecom sector is finding themselves in a tough spot ever since the introduction of Reliance Jio. The new telecom network in taking the current champ in each and every segment. However, Airtel isn’t holding back and has been aggressive as well. To stand in the competition, Jio introduced a new app called ‘MyJio,’ where every user can manage their account including data used, balance check, etc. Airtel also has their standalone application- ‘My Airtel,’ which also has the similar functionalities as the Jio’s MyJio application. There are some noticeable features in the My Airtel app, which attracted most of the Airtel subscribers to use that. Let’s take a close look at what are the features offered by My Airtel app. One of the best part with the My Airtel is that every user can recharge any number from the application itself. 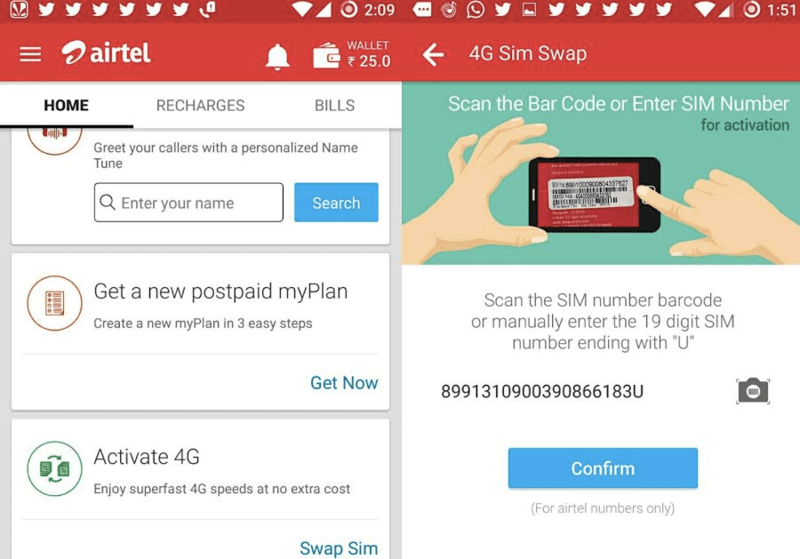 Apart from the usual recharge option, there are several cashback and discount offers, which no another online recharge portal provides for Airtel network. With the help of My Airtel app, you can also check the latest tariff plans available or introduced in the market, and you can even get access to exclusive offers available to your Airtel mobile number. To combat with the Reliance Jio and its Jio4GVoice app, Bharti Airtel has come up with their dialer app called- Airtel Dialer. As the part of the introductory offer, the company is offering 50 free local Airtel to Airtel minutes for the people who activates the dialer app. Bharti Airtel, along with the My Airtel app is also offering 2GB of cloud space via a new service called ‘Airtel Backup,’ where every Airtel prepaid and postpaid is being offered free 2GB of cloud space for storing their files. Having said that, if you’re an Airtel postpaid user, then you additionally have some other benefits as well. You can track your postpaid number’s data usage, minutes left, and the number of SMS left. All these features are present with Reliance Jio as well. However, you need to download each and every application separately to use them. So, the My Airtel app has a distinct advantage over its rival, and we must say, Airtel is doing a great job to keep the subscribers attracted by always adding new features to the application.